Update: 10:45 AM, 6/30 - A Type 1 team has been ordered and will assume command of fire on 7/1. This team will manage both the Weston Pass Fire and the High Chateau Fire. Update: 7:03 PM, 6/29 - Fire has grown to 1500 acres. A Type II team has been ordered. Update: 3:37 PM, 6/29 - Mandatory evacuations are occurring for all homes between the fire and County Road 22. County Road 22 is now closed. The fire has grown to 250 acres. Fire activity is high with low relative humidity and high wind gusts. Type 3 team has taken command of the fire. 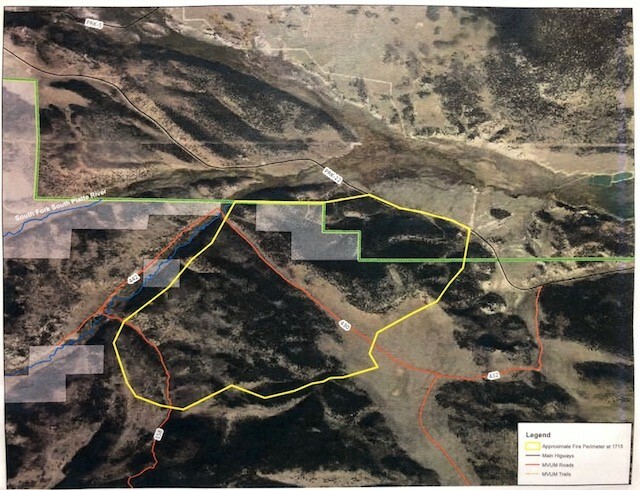 Firefighters continue to construct fireline to achieve containment. Fire is now reported at 47 acres. 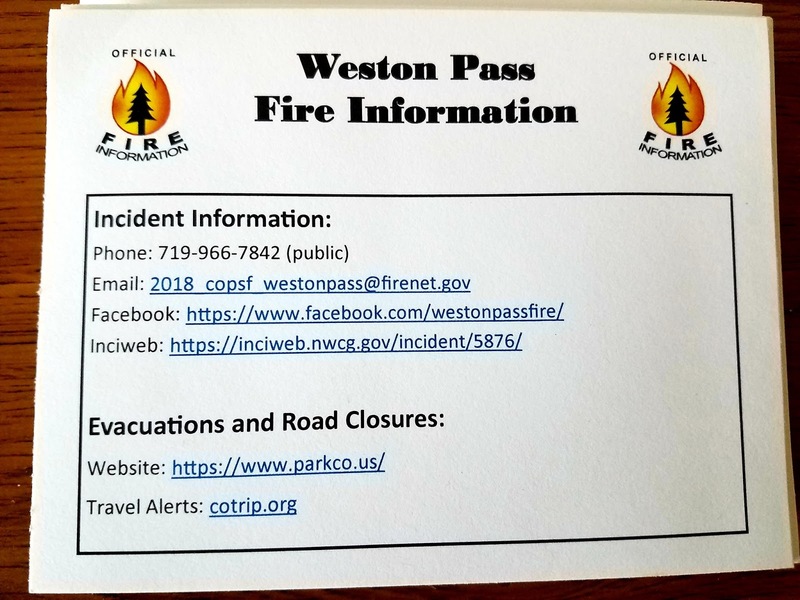 Location: Park County, South Park Ranger District, Weston Pass area CR 22, 9 miles SW of Fairplay, CO.
Resources: Type 3 Team, Forest Service and multiple Park County cooperative resources; 3 crews, 4 Engines, Air resources are one Type 1 helicopter and one Type 3 helicopter.